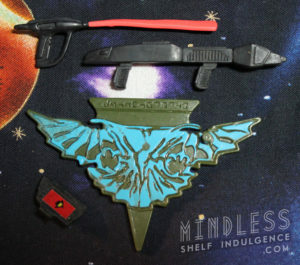 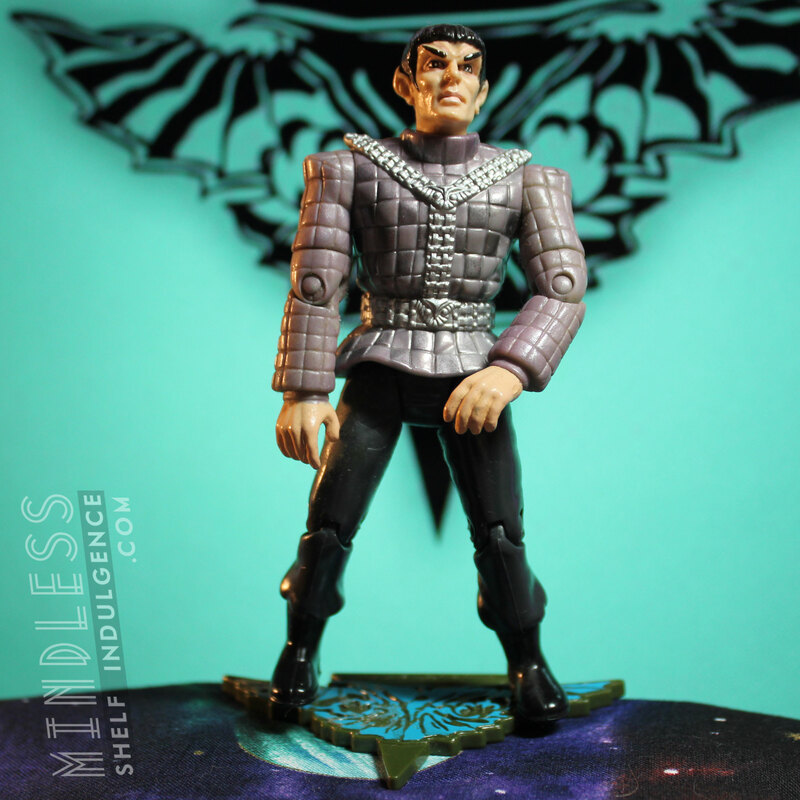 This generic Romulan action figure includes black accessories and Romulan logo base. 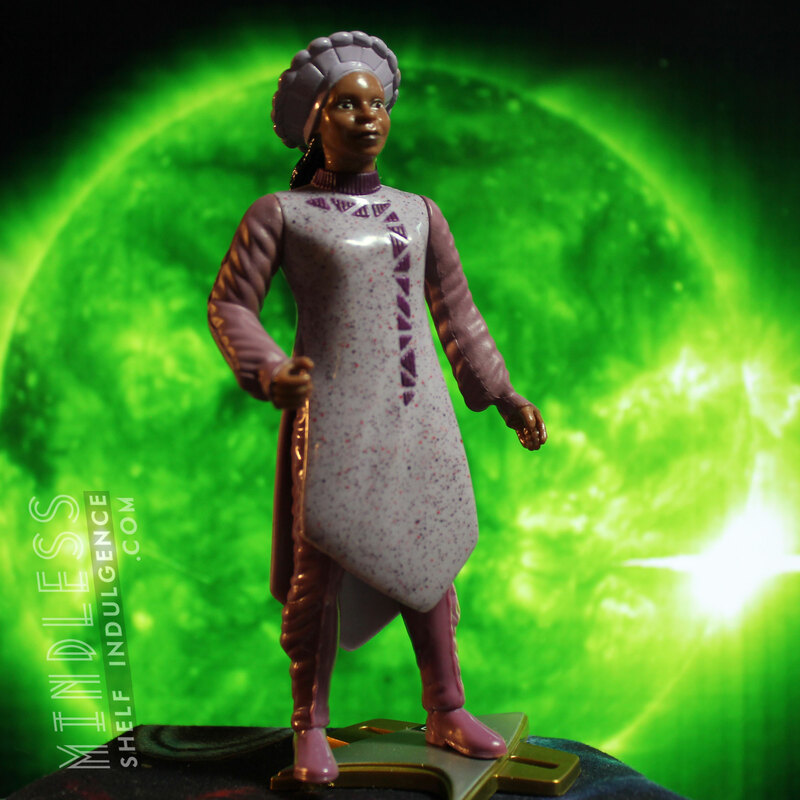 While Romulans have worn a lot of different outfits over the years, this one most closely resembled the ensemble worn in the 4th season episode ‘The Mind’s Eye’. The figure itself isn’t really based on any specific character, but a generic ‘Commander’ type. 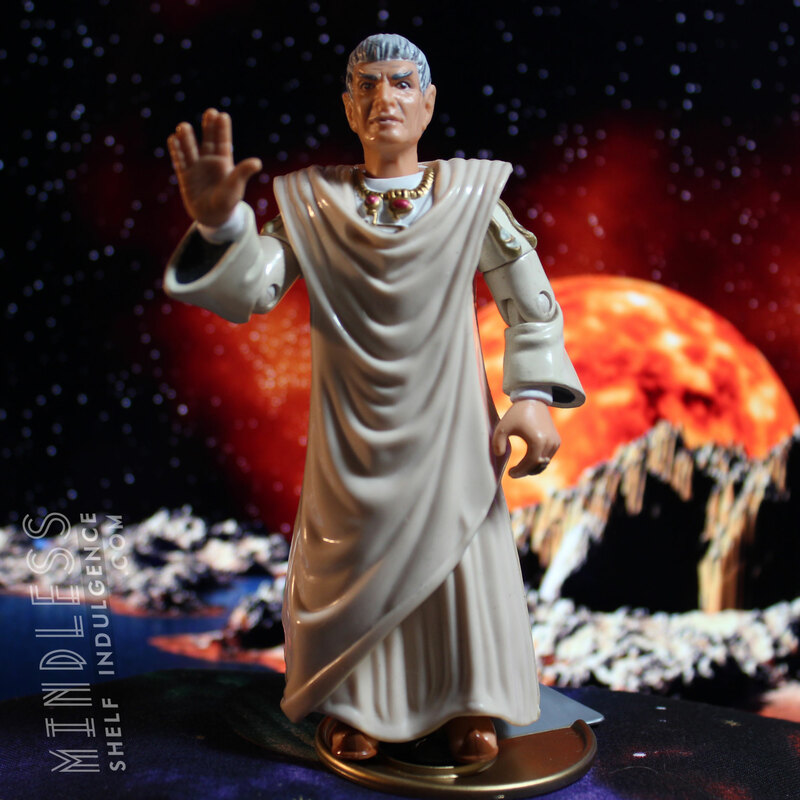 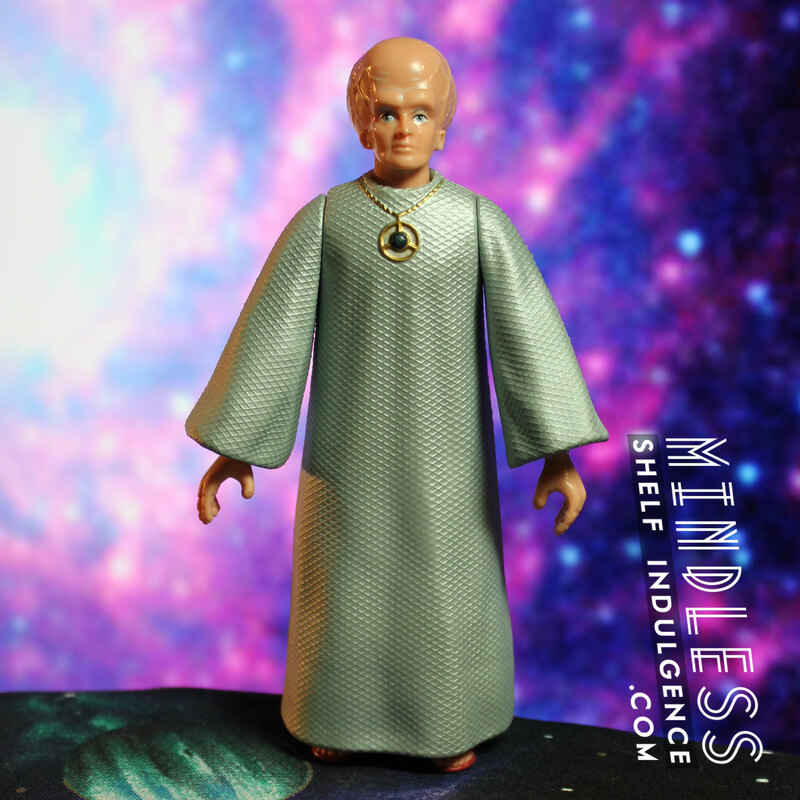 Despite being such a large part of Trek, this is the only 4.5″ figure of a Romulan that Playmates made aside from Sela; excluding that time Picard and Data dressed up as Romulans to find Spock in ‘Unification’.